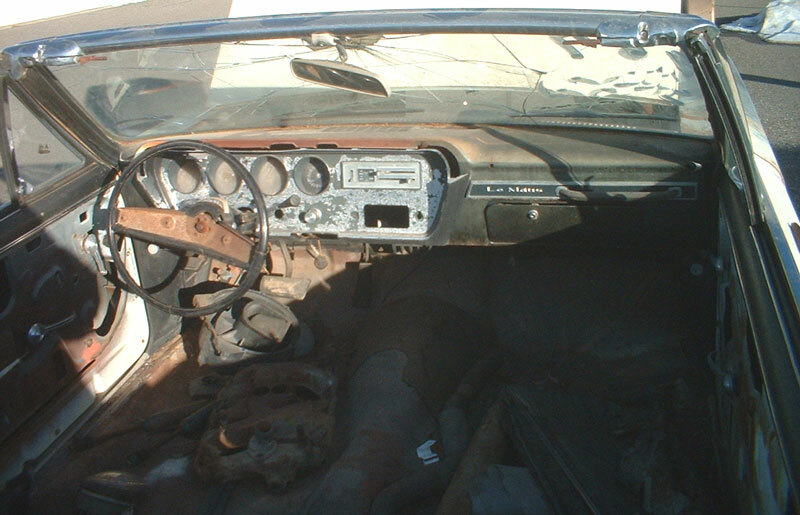 This white 1967 Pontiac Tempest LeMans convertible is a very solid project car ready to be restored or customized. The body is very solid. There are small repairable dents in the body, see photos. The deck lid and back center panel top are dented because the deck lid has been forced. The top and windshield frame are complete. The windshield is broken. The rocker and headlight trim are missing. There is no front radiator frame, top cross piece or grill. The bumpers are gone. 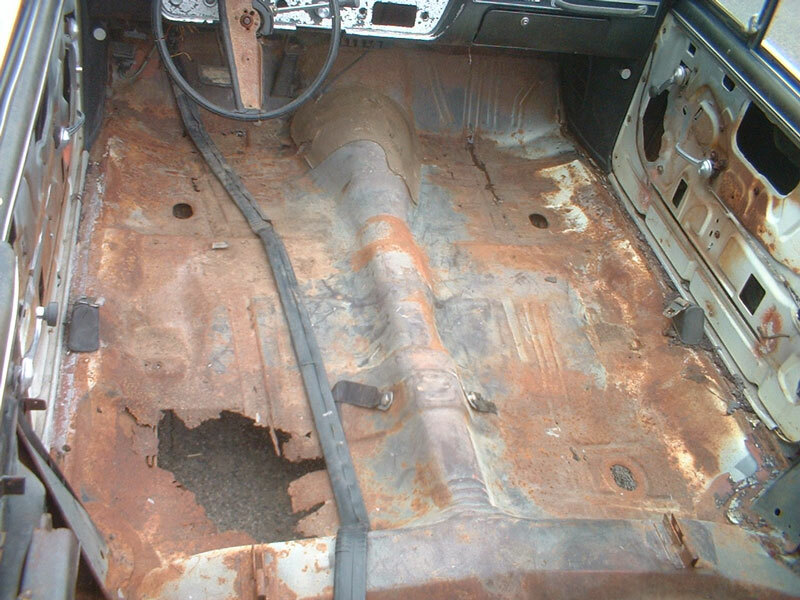 The inner fenders are inside the car. The seats are gone. The dash is complete. The floors need to be replaced. There is no motor or transmission. Here is your chance to build a real-deal 67 wide-track Pontiac LeMans convertible. Please call (406) 318-0270 for details about this restorable classic project car. For sale $5,000.